PARIS (Sputnik) - French Economic Affairs Minister Nathalie Loiseau claimed that Paris would maintain its military presence in Syria, while French Defence Minister Florence Parly refused to confirm that statement. "France will continue to be involved in the Eastern Mediterranean… As for the question concerning our US allies, I deeply regret the [US] decision on Syria", Macron said at a joint press conference with his Chadian counterpart Idriss Deby. 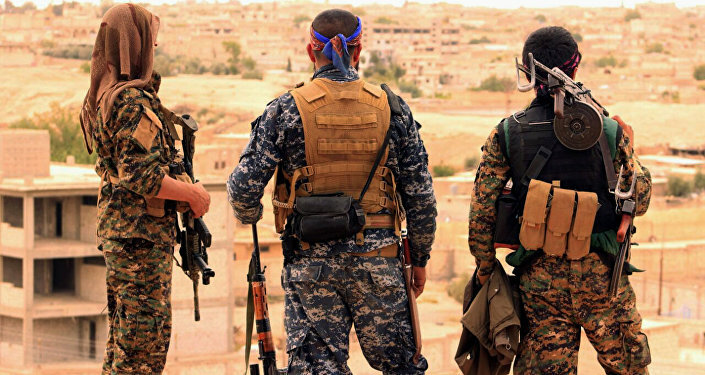 The president stressed that being allies meant to "fight shoulder to shoulder", stating that nobody should forget about the Syrian Democratic Forces (SDF), fighting against terrorists in the region. "An ally must be reliable and act in coordination with other allies", he added. The president's comment comes after White House spokeswoman Sarah Sanders announced earlier this month that the United States had begun the pullout of its forces from Syria. She noted that the troops' withdrawal did not mean the end of the US-led international coalition's fight against the Daesh* terrorist group. The statement followed President Donald Trump’s remark about Daesh's defeat in Syria.